WARNING: Buying new house or a condo from the developer’s sales office is always very exciting but if you are not very familiar with the whole process, it might cost you THOUSANDS of $$$ and many legal problems. Remember that the new development sale offices are established by the developer and the agents working there are hired by the Developer to protect his interests. Not all salespeople working in these offices are REALTORS® bonded by the real estate responsibilities,rules and etiquette. All contractual documents you have to sign are prepared by the developers lawyers to protect his interests as well. The good news is that any of this mistakes can be avoided, if you are presented by a VIP REALTOR® experienced in purchasing new development properties. Experienced VIP REALTOR® can give you the best advise and protect your interests. Our simple advice is – DO NOT visit a new development sale center without a VIP REALTOR® you trust. If you are interested to view a few properties, contact us to schedule the appointments at your most convenient time and day. Then you can benefit from our experience and strong negotiating skills to get you the lowest possible price at the best terms and conditions. As a buyer all benefits, services and $$$Savings are FREE for you. We get our commission from the seller. Please before you click on the link at the bottom of this page to search all new developments in Metro Vancouver area, take your time to read the article below. Buying a new home directly from the builder, whether a condo, townhouse or detached, is a popular choice. Almost one-third of all homes sold in Canada each year are brand new. 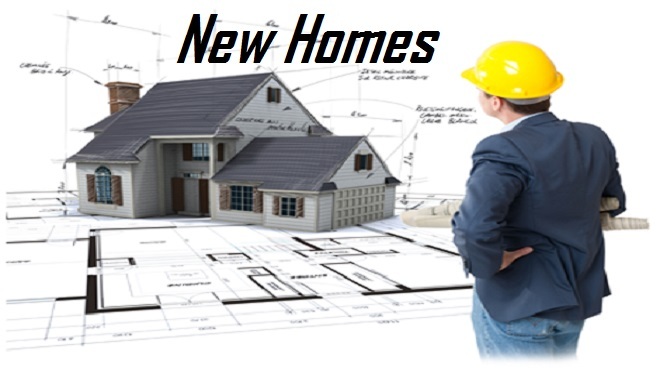 In Ontario alone, more than 52,500 buyers opted for a new build last year, and a forecast by the Canada Mortgage and Housing Corporation (CMHC) predicts that number will only climb. Despite the problems Karen and Alan encountered, it’s easy to see the appeal: Buying directly from the builder means you can customize your dream home to your exact tastes. It means higher energy efficiency ratings than older homes and often higher quality building materials. New homes also have lower maintenance costs and are less likely to surprise you with serious issues such as a cracking or tilting foundation, severe plumbing problems, asbestos or knob-and-tube wiring that needs replacing. The rule of thumb is the more upgrades you spring for, the bigger the discount you should angle for. If you purchase $5,000 in upgrades the builder may only give you a 10% discount, but purchase $50,000 in upgrades and you can start asking for $10,000 to $15,000 off the final price. During the buying new home process, there are two specific times when it’s important to have your house inspected. The first is the pre-delivery inspection, a mandatory walk-through for all new homes under warranty. This inspection takes place with your builder shortly before you officially take possession of your home. The second inspection should be scheduled for about one month before your home warranty expires. In Ontario, the first and broadest portion of your warranty expires 12 months after your possession date, in B.C. it’s 24 months after possession. However, hiring a professional home inspector to do a second walkthrough before your warranty expires is a must. This will allow your home to go through all four seasons, which is enough time for major defects to start showing up, and you’ll still be able to get them fixed under the first stage of the standard provincial warranty, which covers against material and labor defects. In 2001, Markey bought a unit in a soon-to-be-constructed condominium tower in downtown Toronto. His initial possession date was Nov. 30, 2002. But as the date approached, the builders kept sending letters announcing delays. Markey’s possession date was moved back six different times—he wasn’t able to move in until eight full months after the initial possession date. “In Ontario, it’s illegal to build without being registered,” says Janice Mandel, vice president of corporate affairs at Tarion. But in other provinces, where the warranty program isn’t mandatory, builders can simply opt-out of coverage. Often they’ll try to convince homeowners that they’re saving them the registration costs. But weeks went by and nothing happened. “What was frustrating was coming home to see that our neighbor had a newly poured driveway and ours was still pock-marked and cracked.” That’s when Jason started sending emails. “You have to hound the builder, who seems willing to fix anything, but just needs a lot of motivation.” After weeks of sending emails and making calls, the Saxons finally got a new driveway and garage floor. While you’re reading your buying new home package, you should also familiarize yourself with the maintenance you have to do to ensure your warranty remains valid. For instance, if you forget to change your furnace filters or fail to clean out your gutters you could find a claim regarding deficient heating or water penetration into your basement is deemed to be invalid. If you’re buying new home, condo or townhouse as an investment, the key is to get in as early as possible. In order to get the financing to start a new project, builders will often raise initial funding through pre-sales. These pre-sales often kick off with invitation-only VIP events, says Wynter. Usually, only high-volume realtors who specialize in the type of building on offer are invited. “If you see a line-up at a sales office, it’s often because a VIP event has been scheduled.” Once the VIP event is over, the builder will open sales up to all interested realtors, then finally they’ll open the project up to the public. “By the time a builder throws a grand opening for the general public, often 50% of the units have already been sold and the price has gone up three or four times,” explains Wynter. Despite the potential savings on the purchase price, this can be a risky way of buying real estate. When the Vancouver condo market turned in 2008 many pre-sale buyers found themselves with a contract price that was much higher than the current value of the unit. The builders refused to renegotiate the purchase contracts, and their banks refused to grant pre-arranged mortgages for the original purchase price. Many buyers were forced to either default—and lose their money—or find additional funding elsewhere, at significantly higher interest rates. In Vancouver’s Lower Mainland real estate and new home purchases are typically hot in the summer and slow down significantly over the rainy months of November and December. Each local market has its own cycle, so it’s best to talk to an experienced realtor. Enjoy this obligation free 10 Mistakes when Buying New Home information. Thank you in advance for emailing this page to friends and colleagues by emailing or sharing it on your favorite social media networks using the “share” buttons below.